Are you choosing the right products for your hair and body? 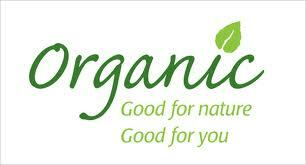 Organic (adj. ): relating to or employing agricultural practices that avoid the use of synthetic chemicals in favor of naturally occurring pesticides, fertilizer, and other growing aids. 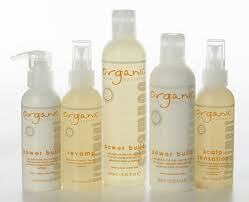 Why should you be using organic products as a hairstylist? Why is it so much better for you and the client? How much do you value your well being? We should all be concerned about what we put in and on our bodies! Studies have shown that 60% of what we put on our skin will be absorbed into our system. Most women use as many as 17 beauty products a day. That adds up to 50 lbs of chemicals in a single year! Researchers now believe that 85-95% of cancer can be traced to environmental exposure from foods we eat, the air we breathe, and the chemicals we are exposed to. Sodium Lauryl Sulfate/Laureth Sulfate: These harsh derergents are used in shampoos for their cleansing and foam-building properties. Often derived from petroleum, these synthetic ingredients can cause eye irritation, scalp irritaion, and tangled hair. SLS and SLES are used in car washed, as garage floor cleaners, and asengine degreasers. Parabens (methyl, propyl, butyl, and ethyl): These preservatives are used as inhibitors of microbial growth and to extend the shelf life of products. These chemicalpreservatices have been identified as estrogenic and disruptive of normal hormone function, and exposure to external estrogens has been shown to be linked to breast cancer. Propylene Glycol (PG) or Butylene Glycol (BG): Are derived from petroleum. They penetrate the skin and can weaken protein and cellular structure. Commonly used to carry extracts into formulas. PG is strong enough to remove barnacles from boats.Also used as a surfactant or wetting agent, PG is an active ingredient in industrial antifreeze. Synthetic Colors and Dyes: Used to make cosmetics “pretty,” synthetic colors and dyes are labeled as FD&C or D&C followed by a color and a number. Green No. 6. Synthetic colors are made from coal tar and contain heavy metal salts that deposit toxins into the skin, causing irritation. Animal Studies have shown almost all synthetic colors and dyes to be carcinogenic. Diethanolamine (DEA) and Triethanolamine (TEA): These ingredients are synthetic emulsifiers and/or foaming agents. They are highly acidic and can cause allergic reactions, eyue irritation, and dryness of hair and skin. DEA and TEA are ammonia compounds wich are potent carcinogens.